Back in the day when fruits and vegetables were actually seasonal, asparagus was a harbinger of spring. Well, no more. But at least the green stalks with tightly closed buds are more abundant and affordable as spring approaches. So, why not enjoy them every which way? Steamed, roasted, pureed in soup, cloaked in an omelet and definitely in a salad drizzled with chef Thomas Keller’s classic Dijon vinaigrette (see below) from his renowned Napa Valley restaurant, Bouchon. Compose your asparag usbased salad with grilled shrimp, diced red bell pepper and a sprinkling of chives and you’ve got a fresh, light meal. One vegetable that still arrives as a spring treat in Utah is the classic Globe artichoke from California’s Central Valley. Look for the big, thorny Globes. 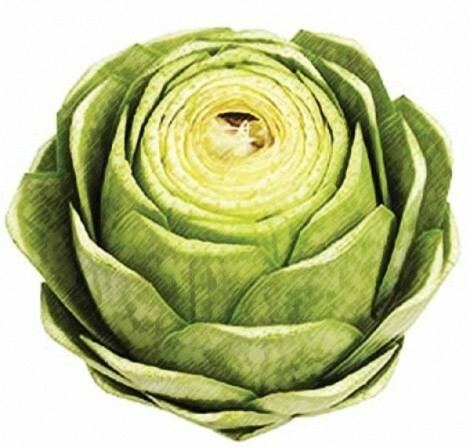 They’re the only full-size artichokes with an inherent buttery, nutty flavor and ample “meat” at the heart so that you get a good bite from the bottom of each toothsome leaf. Steer away, if at all possible, from the poseurs—the thin-leafed hybrids with no thorns, skimpy hearts and sparse meat. As for the thorns on the Globe chokes, simply trim them off with kitchen shears before cooking. Just as Keller’s simple vinaigrette makes a habit-forming salad dressing, it’s also a perfect dip for artichoke leaves. Combine 1/4 cup Dijon mustard with 1/2 cup red wine vinegar in a blender, and blend at medium speed for about 15 seconds. With the machine running, slowly drizzle in 1/2 cup canola oil. Transfer the vinaigrette to a small bowl and, whisking constantly, slowly stream in another cup of canola oil. Don’t be tempted to add all the oil to the blender or the vinaigrette will become too thick; it should be very creamy. The dressing can be refrigerated for up to two weeks. If it separates, use a blender or immersion blender to re-emulsify.